If you are on a hunt for the solution to solve the Samsung NVMe SSD problem with Dell XPS then you are the right page. Here we explain to you the successful approach to solve the Samsung NVMe SSD problem with Dell XPS. Your system has the SSD mode in Bios set to RAID by default, but in order to detect the NVMe drive the SSD mode has to be switched to ACHI mode form RAID mode. When you do so, you may face problem in starting your Windows and again on switching back to the RAID mode will keep the system fine. So, how do you get the Samsung NVMe SSD problem resolved? This is a common problem that is faced by many. So, we have various approaches suggested by many forums to solve the Samsung NVMe SSD problem. But on trying those out you may end up achieving nothing and disappointing yourself. One of the basic approaches suggested is restarting the Windows 10 on safe mode and prior to starting the Windows switch SSD mode to ACHI mode from RAID mode. But this won’t work. In this approach you will need creating a recovery disk on an external media like pendrive and reinstall Windows 10. This may erase everything but you will probably not have to enter the windows serial key or active and you already activated it initially and made a recovery disk. So, here is the step-by-step procedure for this approach to solve the Samasung NVMe SSD problem with Dell XPS. Step 1:– When on RAID mode create a recovery disk on pendrive and restart the system. Step 2:– On restarting the system, enter the Bios and change the SSD mode to ACHI mode and also the boot sequence to detect the USB first. Step 3:– Now, insert pendrive that has the recovery disk and reboot the laptop. Step 4:– The system detects the USB flash drive and allows re-installation of Windows. Step 5:– Now install the Samsung Magician Software and it detects the new 970 Pro SSD. But in order to get full advantage of it in terms of durability and speed install the drivers as well. And Done! This really works. 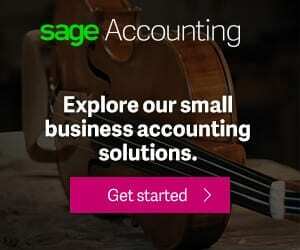 How is it a Successful Approach? 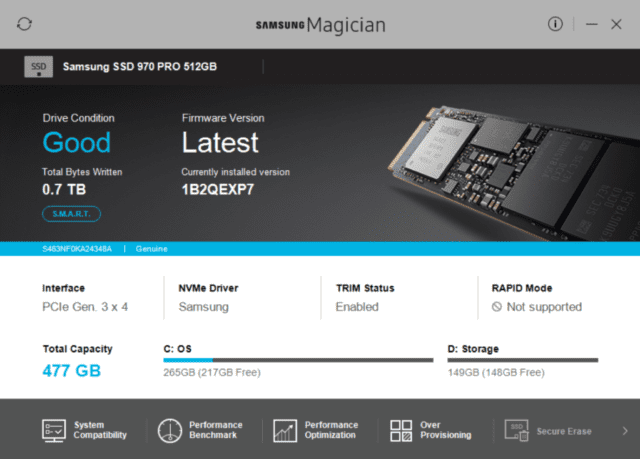 Let’s consider the Samsung Magician software as the savior! The backend functionality of this software is doing the part. But how? Prior to fixing the problem the SSD mode was on RAID, on this mode the software will not detect the NVMe SSD but when you run the benchmark, it will show you the impressive results and matches the speed of my NVMe SSD though it appears that it didn’t detect the NVMe SSD. The Microsoft uses the driers of the software when on RAID mode and brings up the real performance of NVMe SSD and because it shows high speed it convinces the fact that SSD is active as NVMe. But, when you switch to ACHI and reinstall the Windows 10 it will show a little higher performance. The approach works successfully and may vary in the speeds. You got many other software as well that provide you decent speed on RAID mode. But this is something recommended, so give it a shot! After all, your money on Dell worth an ultimate speed.